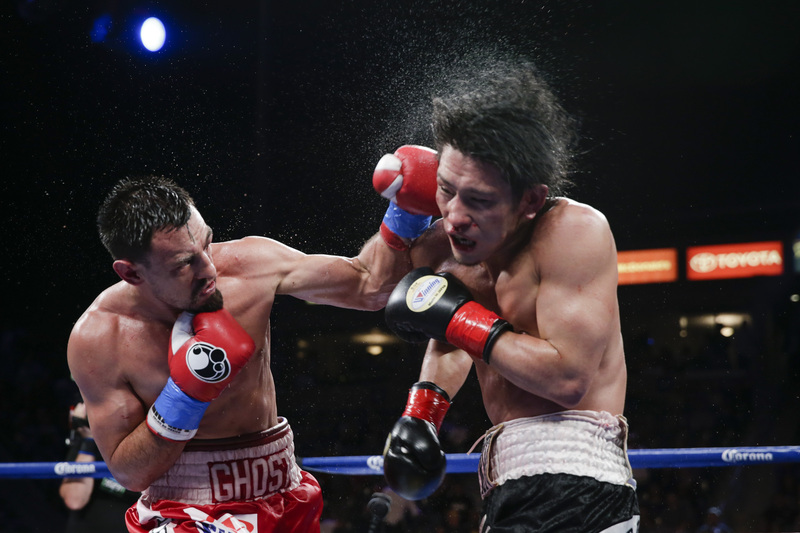 CARSON, CA, June, 21, 2014 — The StubHub center in Carson California which has hosted quite a bit of highly memorable events just added another classic to the books with a greatly entertaining 12 round war between welterweights Robert “The Ghost” Guerrero and Yoshihiro Kamegai. LOS ANGELES, November 25, 2013 — As the Thanksgiving holiday quickly approaches, the boxers participating in the back-to-back quadruple headers on Saturday, Dec. 7 and Saturday, Dec. 14 live on SHOWTIME CHAMPIONSHIP BOXING took time out of their training camps to share some of the things they are thankful for this holiday season. While turkey, stuffing and yams may not be on their Thanksgiving menus, they are all in agreement that there is much to be thankful for. 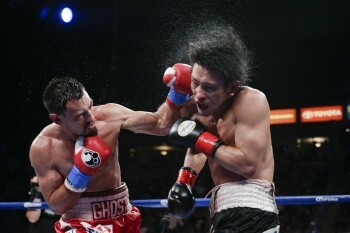 SAN ANTONIO, TX, October 18, 2013 — SHOWTIME Sports® will present a world championship doubleheader on Saturday, Nov. 30, as Devon Alexander “The Great” defends his IBF Welterweight World Championship against Shawn “Showtime” Porter in a 12-round bout at Freeman Coliseum in San Antonio, Texas. In the co-main event, also scheduled for 12-rounds, the WBC Super Bantamweight Championship is on the line as Leo “Teremoto” Santa Cruz defends his title against Cesar Seda. 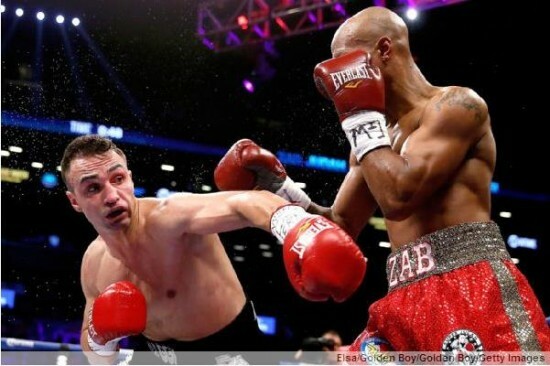 ATLANTIC CITY (May 19, 2013) – It took knockout artist and WBC Interim Super Lightweight World Champion Lucas Matthysse only three rounds to claim his 32nd knockout against IBF Junior Welterweight World Champion Lamont Peterson in front of an excited crowd Saturday night. In the co-main event from Boardwalk Hall in Atlantic City, Devon Alexander outclassed Lee Purdy with a seventh-round technical knockout win after Purdy’s corner waved the fight off.